There’s something intrinsically zen about listening to podcasts on the way home from work. Maybe it’s that we know the workday is over, and we can safely retreat into the story without being disrupted by ruminations of tasks that lie before us. I like to think that it’s because our brains are wired to be soothed by the ancient art of oral storytelling. That could be why there are some 67 million monthly podcasts listeners. The more likely case is that people like podcasts because the content is free and can be ingested passively. Whatever the reason, marketers who want to hone their skills on the train, in traffic or during a lunch break can benefit from the hands-free, screen-free and, hopefully, anxiety-free act of listening to a well put-together podcast. 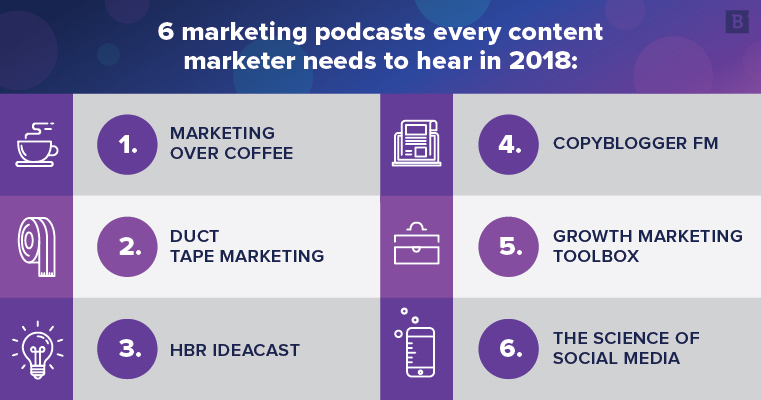 That’s why we’ve decided to pull together a list of some of our favorite marketing podcasts, and give you a small taste of each. As far as titles go, this one is pretty literal. Hosts John J. Wall and Christopher S. Penn sit down at cafes and facilitate free-flowing conversations with some of the best marketing minds in the world. The pair really runs the gamut in terms of their themes, striking the right balance between pragmatic and thought-provoking. Take the example of a recent episode featuring guest Julian Treasure, author and TED talk speaker extraordinaire. Treasure posits the simple but powerful idea that brick-and-mortar businesses can actually reduce dwell time (the amount of time spent inside the store) with the wrong choice of music, in turn, lowering sales by up to 25 percent. Treasure has struck gold here; he surfaces a more existential question about what branding is. Really it’s about creating an identity for your business – one that has a personality, and one that you should not hesitate to personify from time to time. Don’t stop at what your business sounds like. You want to know what it smells like. What it looks like. What it feels like. Heck, what it tastes like. But we don’t want to ruin the reveal. Listen for yourself to learn more. Duct Tape Marketing is a weekly themed show, in which John Jantsch interviews thought leaders, industry experts, authors and others about the marketing topic du jour. Each segment runs between 15 and 30 minutes long, but packs in enough wisdom to keep you sustained for months, if not years. Positioning its unique philosophy and views on what it does (we could call this a form of branding). Helping answer questions that actual users are typing into search bars with carefully crafted landing-page copy, blog posts, articles, infographics and other original content (we might call this latter aspect on-site SEO). It’s a very simple but important reminder to content marketers everywhere: People search for answers to questions. Google tries to match the question to the answer. Help Google do that with branded content. In another episode, Kyle Gray of The Story Engine discussed the ancient practicality of storytelling. For many millennia, it’s how we’ve shared our values. Not surprisingly then, storytelling in branding can be a powerful tool. In fact, it’s quite possibly the fastest way to create a connection with your audience, especially those who are ready to buy your product. Hear the rest from Gray himself. Surely you’ve heard of the Harvard Business Review, but did you know that the Ivy-League publication has a stellar podcast that you should definitely be listening to? And that they actually interview Bill Clinton about his new novel on the show? HBR IdeaCast covers general trends in business and media in 20-minute long episodes, during which Sara Green picks some of the sharpest, most creative brains in business and marketing. To give you a small taste, in a recent episode, “How AI Can Improve the Way We Work,” guests Paul Daugherty and James Wilson, senior technology leaders at Accenture, ask some hard questions about the impact that AI has on the workforce, and how decision-makers can forge responsible human-machine collaborations. If nothing else, the discussion is a reminder of the fact that AI is huge part of content marketing. SEO, after all, is basically an exercise in helping one of the world’s smartest computers connect your web content with your audience more effectively. Other topics focus more directly on human-to-human relationships, like in the episode titled “Ask Better questions” featuring guests Leslie K. John and Alison Wood Brooks, professors at Harvard Business School. The crux of their argument is that sometimes the biggest benefit in business is listening, and that comes from asking the right questions. Sometimes the biggest benefit in business is listening, and that comes from asking the right questions. The same can be said for online marketing. The goal should be to listen to your leads, your prospects and customers, and then you can more appropriately guide their actions and better serve them. “We instinctively go into sell mode” and are “too self-focused,” Woods said, likening the situation to a first date. Really, though, we should be constantly listening and adjusting. In other words, marketers should be asking questions, and following up to answers in a way that shows they have been paying attention. They should also spend time responding to questions that their customers and potential customers may have. This is actually a core tenet of content marketing – researching what your audience is talking about, and then finding a non-intrusive way to include your brand in those conversations. 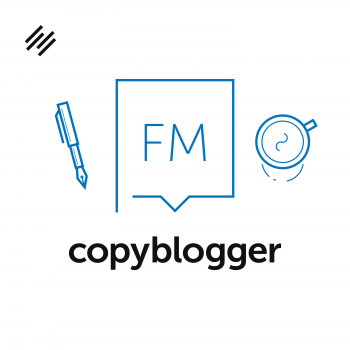 CopyBlogger FM by Rainmaker Digital is easily my favorite digital marketing podcast on this list. I get the sense that host Sonia Simone really understands writing, and what it means to be a content creator in this day and age. Simone argues that the “poet” half of this dynamic is too often missing in content marketing. She contends that bad written content is created with too much of that “killer” mentality, in that it’s overtly committed to its end goal and not nearly focused enough on providing intrinsic value to the reader. It’s too easy to assume that your sales pitch should be the punchline of every blog post, when really, that’s just not what content marketing is about. It’s too easy to assume that your sales pitch should be the punchline of every blog post, when really, that’s just not what content marketing is about. Content should be created with care. It should be full of effective turns of phrase and useful information. It should be a pleasure to read. Great content disarms your audience, so that in their minds, they subconsciously associate your words not only with your products, but with your value. In that same vein, high-quality written content for web should also build trust, and one of the best ways to do that is to use a conversational, relatable tone with your audience. This was the message in “The Quiet Power of Conversational Copy,” another fantastic episode featuring author and copywriter Nick Usborne. We’ll leave it at that, and let you get to listening. This weekly podcast by Earnworthy is the first on our list that focuses almost exclusively on marketing tools and technology, and it’s an absolute must-listen for business owners. Earnworthy is a marketing consultancy, meaning its podcast is actually a form of content marketing in its own right – and a good one at that. 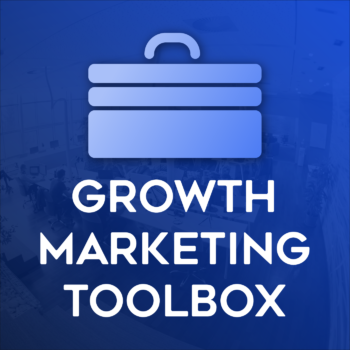 Each episode of the Marketing Toolbox runs about 30 minutes, and usually focuses on a particular online marketing channel, resource or tool. For instance, a fairly recent episode explores a solution called “Zapier,” which host Nicholas Scalise calls “marketing glue.” Essentially, Zapier is an automation resource that integrates multiple marketing tools so they can seamlessly pass data between one another. A more recent episode discusses “JotForm,” which is a simple drag-and-drop form builder that simplifies lead generation. The episode before that explores some of the reasons many businesses fail to use YouTube effectively in their marketing strategies. What exactly is a duck and why shouldn’t you buy one? You’ll have to listen to the podcast to find out. 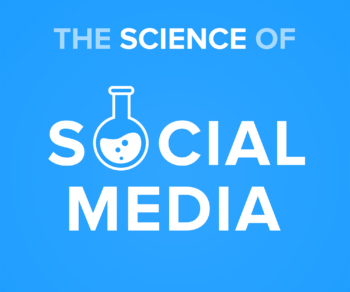 Just as no content marketing discussion is complete without social media, no list of marketing podcasts is complete without “The Science of Social Media,” by Buffer. Each episode of this social media marketing podcast is typically between 10 and 20 minutes, and there’s a good reason that it has more than 1 million downloads: Hosts Hailley Griffis and Brian Peters cover all things social media marketing with timely, well-researched segments. For example, they were all over the recent revelation of how the Instagram-feed ranking algorithm actually works. And when a new Databox study revealed that nearly 46 percent of marketing agencies struggle to sell clients on the value of social media marketing, Griffis and Peters were quick to extrapolate on the findings. In particular, they zeroed in on the two main methods for measuring return on investment – conversions and social metrics – and what those actually entail. The content in this free podcast is valuable for content managers and social media marketers who would seek to improve their trade, and more effectively track the fruits of their labor. 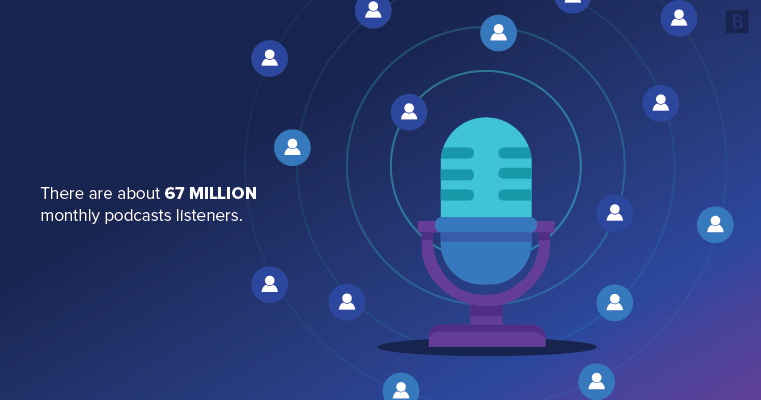 Incidentally, it has the added effect of showing the value of what Buffer does, which means this is yet another example of using the podcast medium as a form of content marketing. Of course, we’re just into it for the insights, and so far, we haven’t been disappointed. What’s your favorite marketing podcast? We’re well aware that there are plenty of excellent podcasts we left off this list for the sake of not writing a novel. And we’re also aware that there are plenty of excellent marketing podcasts we’ve probably never even heard of. So, don’t be a stranger. Give a shout out to your favorite podcasts in our comments section below. And if you’re short on ideas, feel free to check out Brafton’s very own podcast “Above the Fold” – available on iTunes or Anchor – where homegrown industry veterans Jeff Baker and Francis Ma talk all things content marketing.